Dedicate stocks added to cart by customer ! No more "out of stock" (since bought by someone else meanwhile) on the payment page! Give a comfortable time to validate carts without risk of frustration for your clients (1 min to 4 years !). Less loss on sale of conversion page. Products can't be out of stock as their are reserved to customer cart. 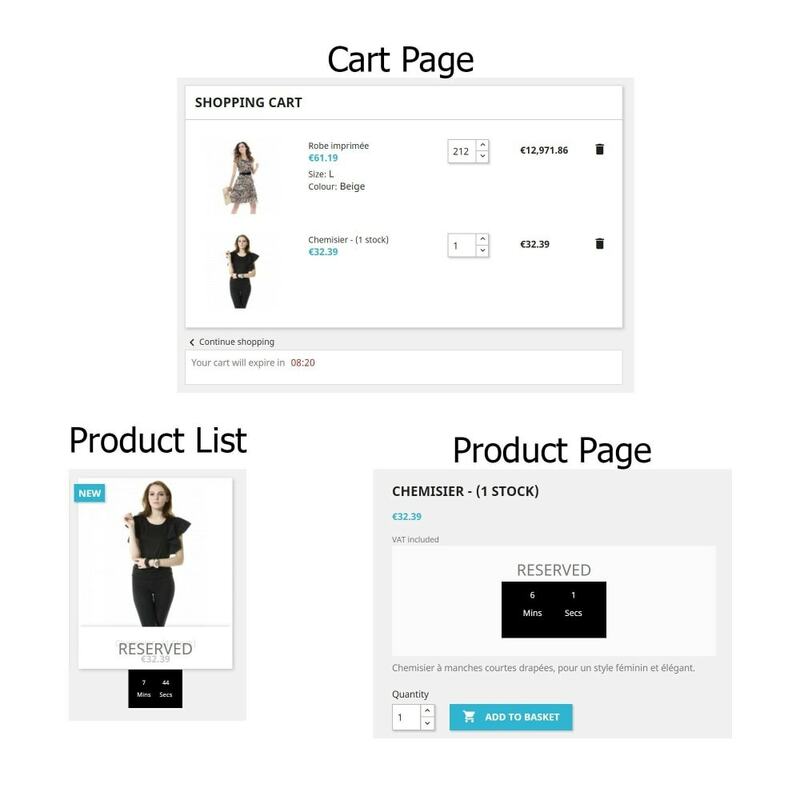 An improved internal functioning of PrestaShop, to not deceive your users about the availability of products. No management while working to install the module. No extra work. A gain of overall customer satisfaction, fewer customers who leave without buying. Their cart is reserved, no surprises. 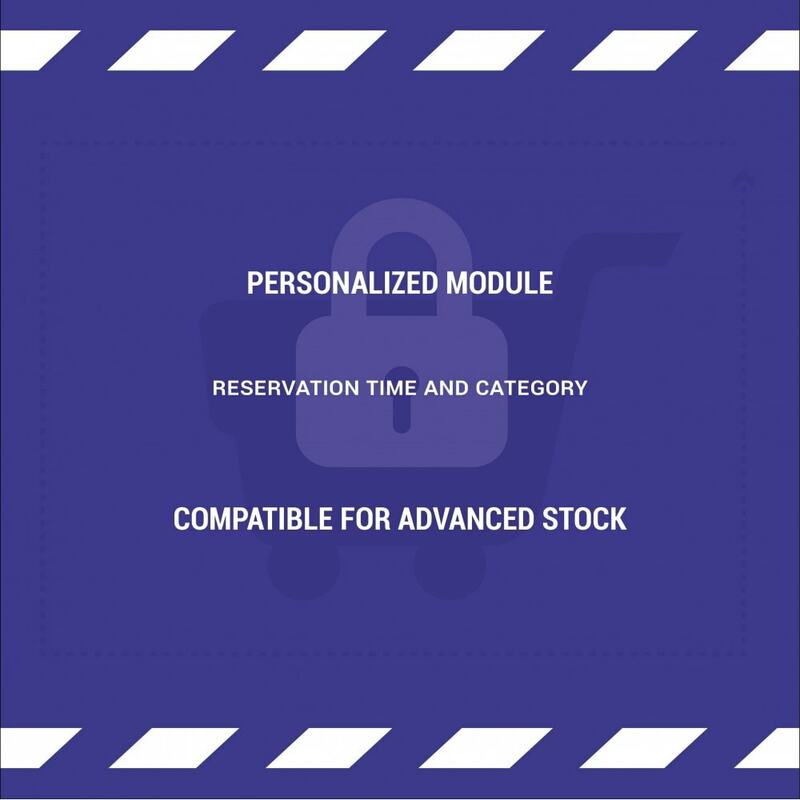 The module sets aside the contents of each basket for a specified time (changeable back office). 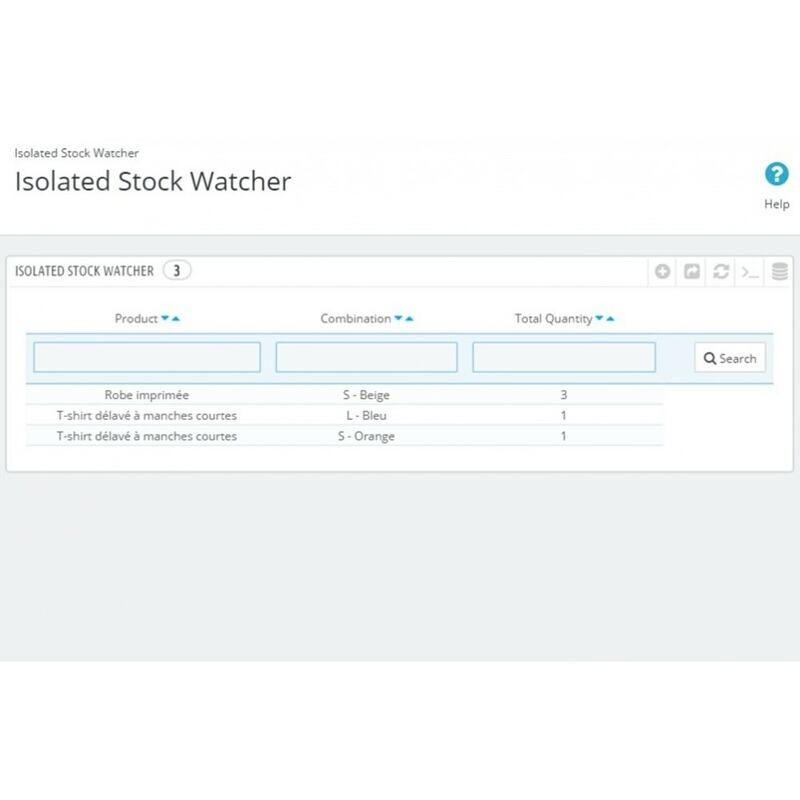 An administration page also allows you to observe in real time the evolution of individual stocks. It is compatible with optional advanced stock. 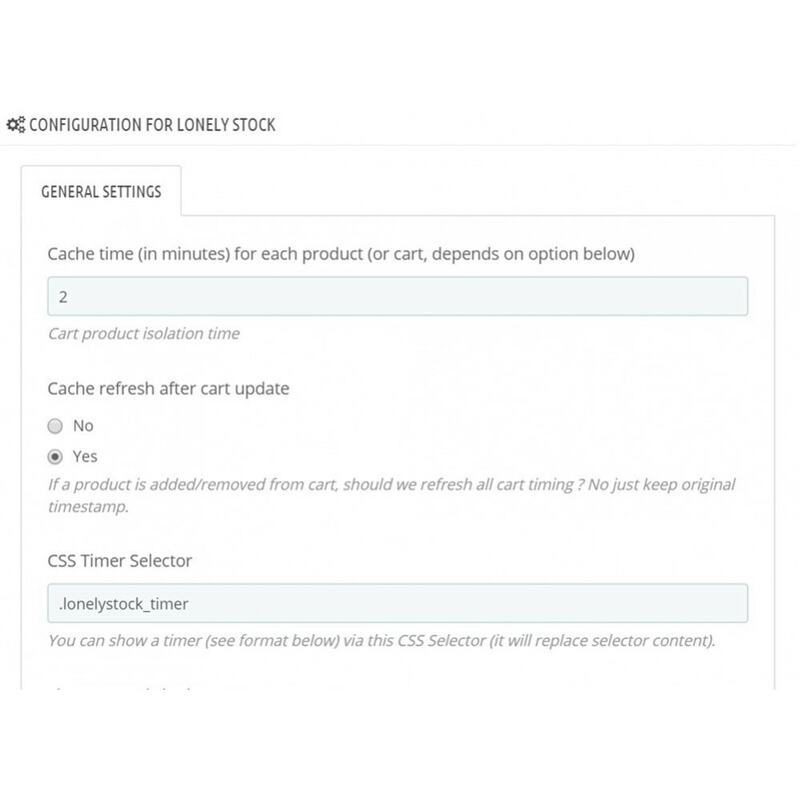 An easily integrated timer can show the time for the user to validate his cart, in which case the stocks will be removed from the cart and handed available to all. Multi-shop ready, works with virtual products, packs and product declinations. Removed from cart products can now be added to user Wishlist. Can be limited to one category. 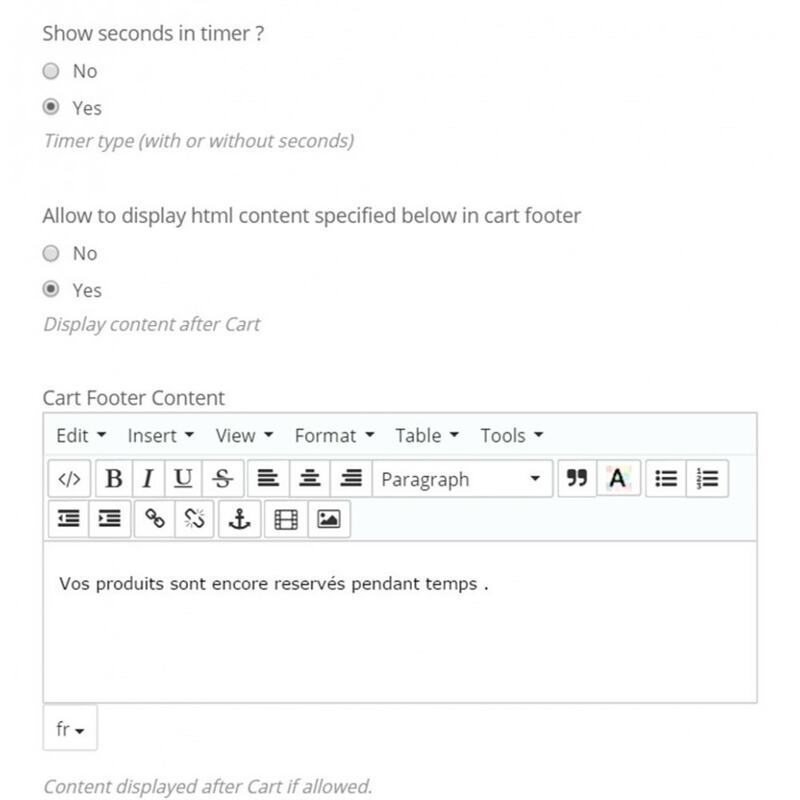 DisplayShoppingCartFooter to display a timer remaining time to buy, if relevant. Customizable and easily deactivated in backoffice. ActionBeforeCartUpdateQty to keep balance of your stock. 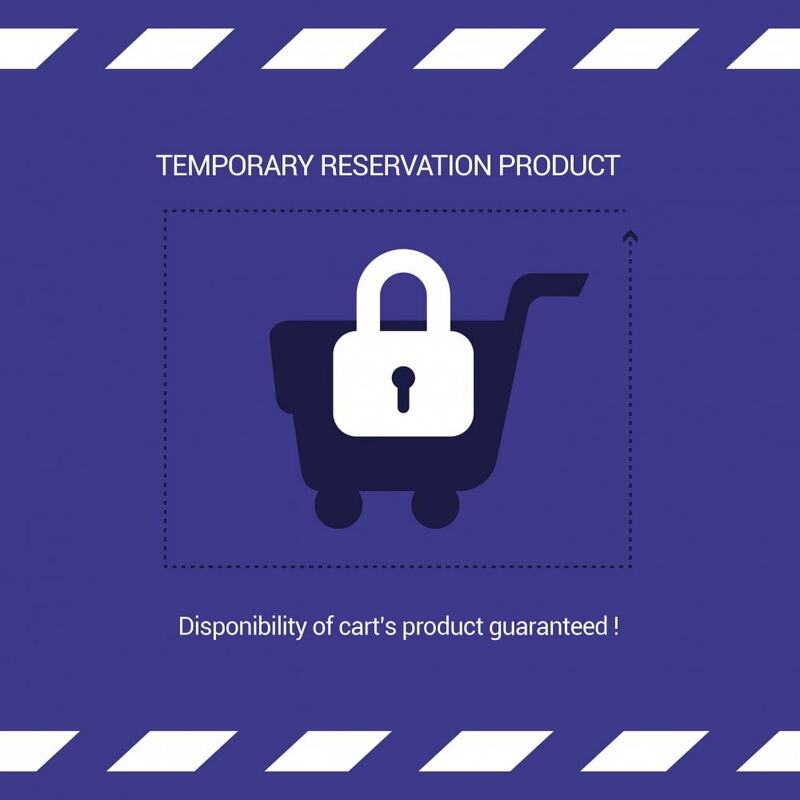 Products added to cart are temporarly reserved. No chance it oversold or sold to someone else in the meantime. No more out of stock products in cart. An invisible and non-intrusive integration. Remove the stress of not having time to purchase high-demand products ! The installation, simple and fast, is automatic. You can easily integrate a time showing the time.